CPR, or cardiopulmonary resuscitation, has become an intrinsic part of our culture. Even those people who are not trained in it are usually aware of it and the basics of its method. It has also been featured on numerous T.V programs and in a variety of films. Part of the reason that CPR has had such an impact is that is works. You are up to 40% more likely to survive sudden heart failure if a bystander promptly starts performing CPR on you. It might be surprising then that the American Heart Association didn’t formally endorse CPR until 1963. In this article we look at the root of CPR and how it was invented. Prior to the invention of the CPR method, cardiac arrest patents were rarely treated at the scene of their collapse. As the prevailing belief was that they would be best treated in a hospital, they were often simply loaded into the back on an ambulance without any attempt to assist them, resulting in many patients expiring before actually receiving any treatment. Once at the hospital, the procedure for heart massage involved cutting open the patient’s chest, separating the breastbone or rib cage and massaging the heart by hand. Perhaps unsurprisingly, survival rates for this procedure were low. The high number of cardiac arrest fatalities, and the relatively primitive nature of the treatment, prompted a young doctor working in Baltimore, Dr James Jude, to investigate other treatment options. Realising that quick treatment was the key to saving lives when it came to sudden cardiac arrest, Dr Jude pioneered a method in which pressure applied the centre of the chest artificially pumped the heart, keeping the blood flow to the brain going. This new technique was simple enough to be used by non-medical personal and required absolutely no splitting open of the ribcage. In 1963 the American Heart Association endorsed the method and it has gone on to become the primary bystander applied treatment for sudden cardiac arrest. According the American Heart Association, in one year alone, 475,000 Americans die from a cardiac arrest. Globally, cardiac arrest claims more lives than colorectal cancer, breast cancer, prostate cancer, influenza, pneumonia, auto accidents, HIV, firearms, and house fires combined. Properly applied CPR can triple a victim’s chances of surviving sudden cardiac arrest, with 45% of out-of-hospital cardiac arrest victims surviving when CPR was promptly administered by a bystander. Here at Northwest Career College we are committed to providing affordable, quality CPR classes to the Las Vegas community. 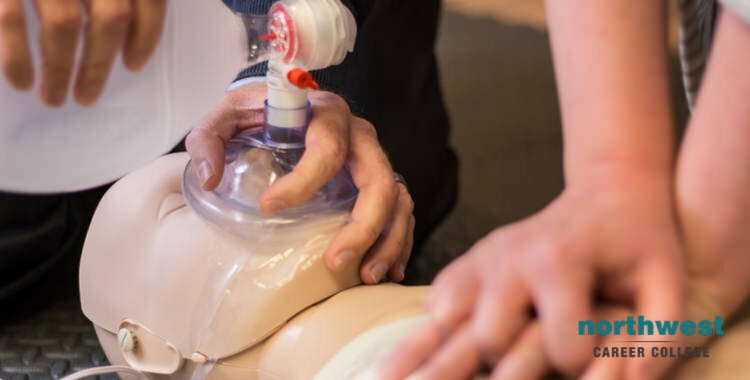 We pride ourselves on being an American Heart Association (AHA) testing center and we offer Las Vegas CPR classes designed to fit your personal needs and professional schedule. As part of our “student-focussed” approach to education we also off our CPR classes free of charge to all of our students. Call us today at (702) 403-1592 to book your CPR class and become qualified to save a life in just 4 hours! Previous Blog: What To Do On The Day Of An Exam?Next Blog: Should I Learn More Than One Language At The Same Time?